This history of reading goes from the earliest examples of the clay tablets and cuneiform of ancient Mesopotamia and Egypt to today's digital revolution. It argues that it is the demands of the reader, acting alongside the will of the writer, that is the evolutionary motor of literary genres. 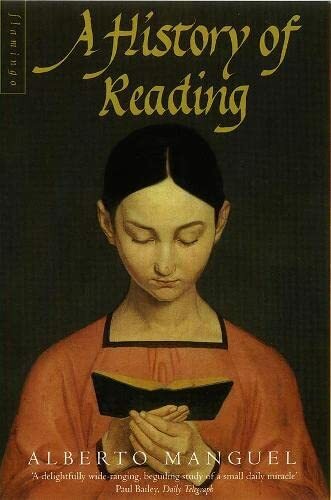 This study of the history of reading goes from the earliest examples of the clay tablets and cuneiform of ancient Mesopotamia and Egypt via the invention of printing in the 15th century to the birth of a mass reading public and today's digital revolution. It argues that it is the demands and expectations of the reader, acting alongside the creative will of the writer, that is the evolutionary motor of literary forms and genres. From man's first use of the written word simply as a form of reference, to the emergence of the first holy or devotional texts, and onto the development of fictions, both poetic and novelistic, this work aims to both challenge and enlighten.